If you’re curious about Oregon’s Alcohol Laws, we’ve put together a simplified list of must-know alcohol laws below! Please note, however, that some bars and restaurants have their own “house policies” which may be even more strict than the laws mentioned here. How old do I need to be in Oregon State to bartend? 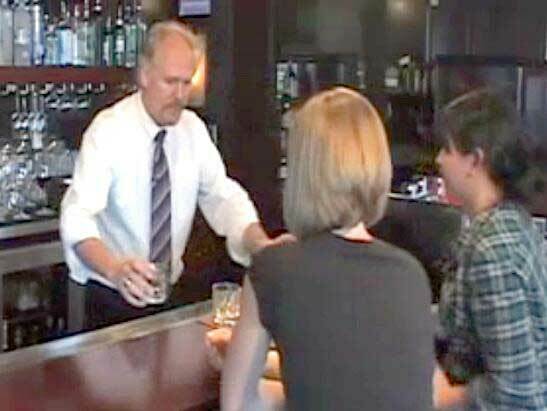 How old do I need to be in Oregon State to serve alcohol as waitstaff? How old do I need to be in Oregon State to conduct alcohol tastings? How old do I need to be in Oregon State to enter a bar? 21The only exception is if you are at least 18 years old and are accompanying a spouse or domestic partner who is at least 21 years old. If you’re in the service industry or are planning to join the service industry in Oregon, you may be curious to know what minor employees can and can’t do when it comes to alcohol sales and service. If you’re not curious, but need to get an OLCC Permitfor your job, you are welcome to do that too! Question:What sort of establishment would a Full On-Premises Sales (F) License be best for? Answer:Full On-Premises Sales (F) Licenses work well for fine dining restaurants, neighborhood/family restaurants, nightclubs, hotels, and private clubs. Several U.S. States require some form of Alcohol Server/Seller Training for those who serve or sell alcohol or those who manage individuals who serve or sell alcohol. Alcohol is the nation’s #1 drug problem, so many states have appointed state-specific legal entities with the responsibility of enacting and enforcing alcohol laws in order to reduce alcohol related tragedies – such as drunk driving accidents, alcohol related diseases, fights, etc. The goal here is to increase public safety! The legal entity that enforces alcohol laws in Oregon State is called the Oregon Liquor Control Commission (OLCC). The OLCC mandates that everyone who serves alcohol to some capacity must take a Mandatory Alcohol Server Education course in order to receive an OLCC Permit, also known as a Service Permit. In order to legally offer alcohol sales and service in Oregon State it is a requirement to first apply for and receive an OLCC Liquor License. In a previous blog post we discussed the features and requirements to obtain a Full On-Premises Sales (F) License for your establishment. In this post we will go over the features and eligibility requirements of the Limited On-Premises Sales (L) License. What does the Limited On-Premises Sales (L) License allow? Unlike the Full On-Premises Sales (F) License which allows the sale and service of all alcoholic beverages, the (L) license only allows the sale and service of beer, wine, and cider. The key word here is limited because establishments with an OLCC (L) Liquor License are limited in what they can sell or serve by not being permitted to sell or serve liquor.